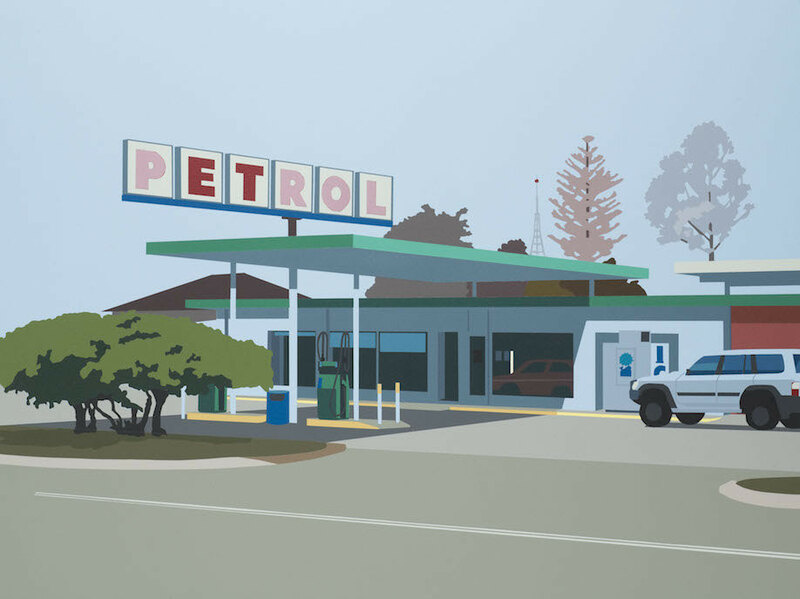 SYDNEY, AUSTRALIA – This March, Sullivan + Strumpf Sydney presents an all new exhibition by Australian artist Joanna Lamb. Titled Everything Is Waiting, the award-winning artist newest collection discusses how each and every thing in the world is waiting, from the sky to the land, the tree to the birds and even cities, buildings, roads and houses. There is an inevitability to what occurs in life and each and every thing is waiting to fulfil its given space or position, an indiscriminate force which all things will, in the end, be consumed by. Joanna Lamb is then complicit in this process, and her world of the everyday is then squeezed, reduced, and flattened-out to conform to the language of consumerist ideology. 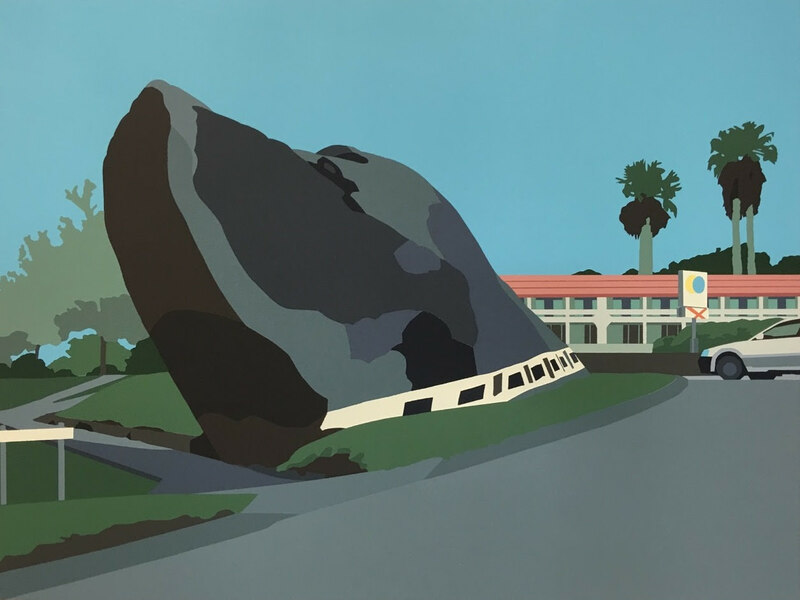 Her art takes inspiration from Pop, selecting images of the everyday before flattening and collapsing them, as if under a great press in order to expunge the content. But in Lamb’s everyday houses, flower arrangements, parks and petrol stations, there is, as Hans Hofman has said, “a fundamental difference between flatness and flatness.” There is as Hofman put it, “a flatness that is meaningless and a flatness that is the highest expression of life– from infinity depth up to the surface: an ultimately restored two-dimensionality. Restoring flatness is what plastic creation means. Otherwise it’s decoration.” The thing then that interests Lamb is not the what, not the gesture or manner of an object, not an expression of the thing itself, but the process, the way in which the image is crafted; how this two-dimensional experience of something in the world is constructed. 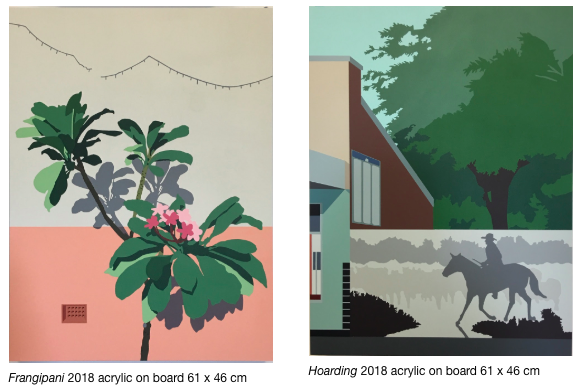 These most recent acrylic paintings, done on a board rather than canvas, appear as collages in which the image is broken down using masking film into individually stencilled shapes of flat colour. Using acrylic on board allows for her to create greater sharpness – cleaner edges, more defined lines and a flatter image, yet paradoxically retaining its hand-made character. As the painting develops, the layered image unfolds but the pictorial illusion is disrupted. Lamb’s flatness emphasises the illusionistic nature of painting and by firmly placing her subject in the everyday, Everything is Waiting then offers a welcome, bizarro alternative to the saturating nature of consumer culture.